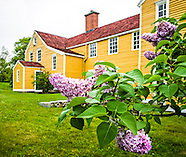 Known as a nature and historic preservation photographer, this gallery features a series of New Hampshire historic villages and iconic images and landscapes of annual events in the Granite State. 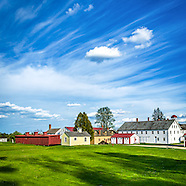 Canterbury Shaker Village, a historic landmark, located in Canterbury, New Hampshire. New Hampshire historic villages and landscapes: Stark, Daniel Webster, The Fells - John Hay Estate and National Wildlife Refuge, among others. More images added soon - check back often for updates. New Hampshire has a special quality about it that draws people from all around the world to visit, especially during fall foliage season. This gallery will be updated with more images soon.